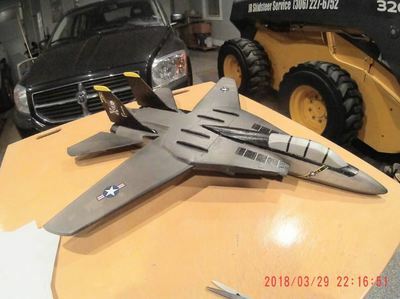 "A New Level of Challenge, A New Level of Joy to Fly"
​The Grumman F-14 Tomcat is an American supersonic, twin-engine, two-seat, twin-tail, variable-sweep wing fighter aircraft. 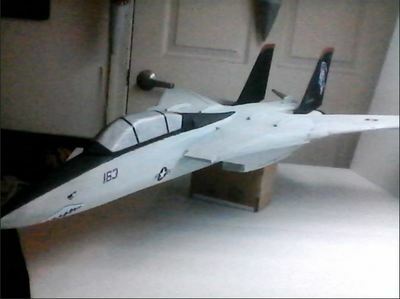 The Tomcat was developed for the United States Navy's Naval Fighter Experimental (VFX) program after the collapse of the F-111B project. 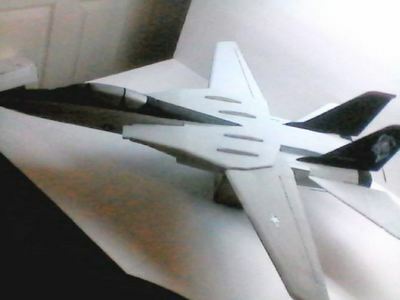 The F-14 was the first of the American teen-series fighters, which were designed incorporating air combat experience against MiG fighters during the Vietnam War. 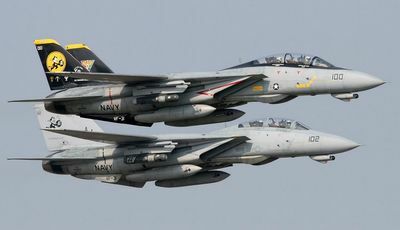 The F-14 first flew in December 1970 and made its first deployment in 1974 with the U.S. Navy aboard USS Enterprise (CVN-65), replacing the McDonnell Douglas F-4 Phantom II. 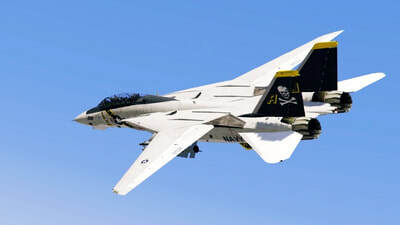 The F-14 served as the U.S. Navy's primary maritime air superiority fighter, fleet defense interceptor, and tactical aerial reconnaissance platform into the 1990s. 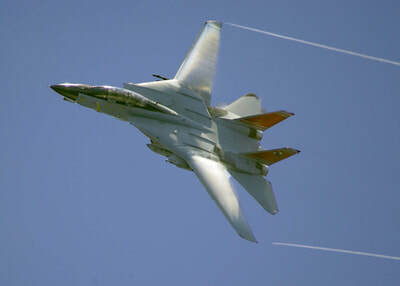 The Low Altitude Navigation and Targeting Infrared for Night (LANTIRN) pod system were added in the 1990s and the Tomcat began performing precision ground-attack missions. The Tomcat was retired from the U.S. Navy's active fleet on 22 September 2006, having been supplanted by the Boeing F/A-18E/F Super Hornet. 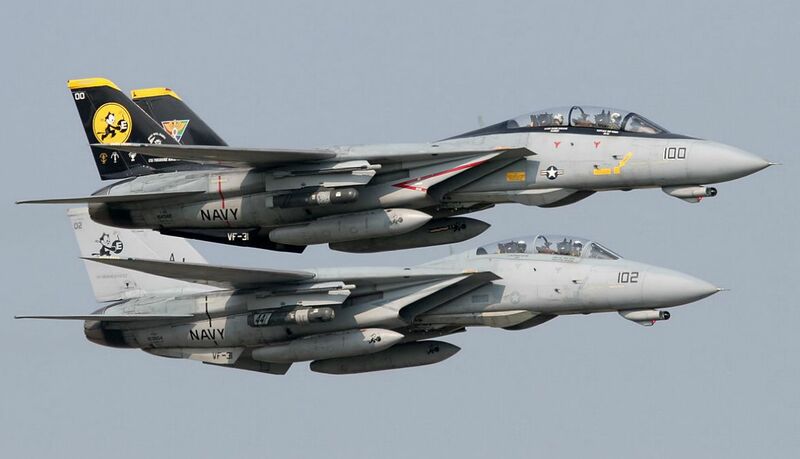 The F-14 remains in service with the Iranian Air Force, having been exported to Iran in 1976. 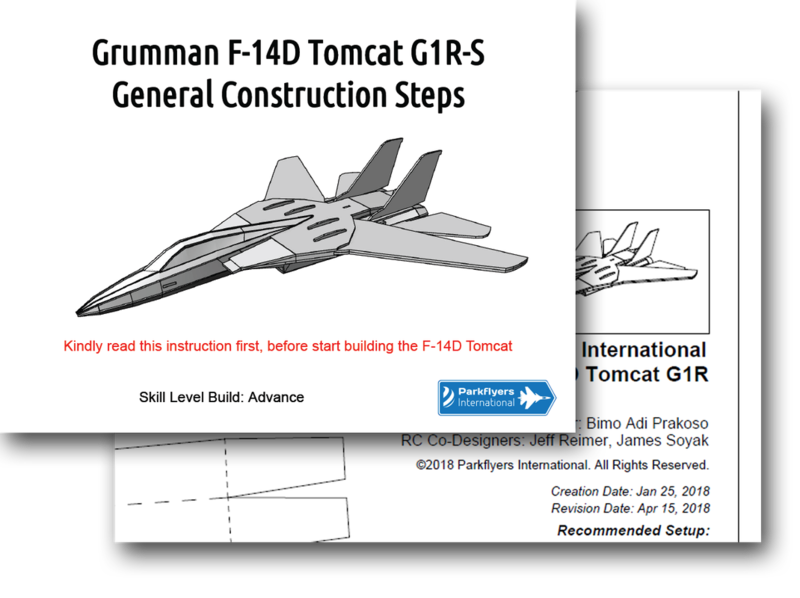 The most challenging step and decision was to come up with the swinging/retractable wings mechanism, while it should be applicable for most builders to follow with just common materials they could find nearby their places. 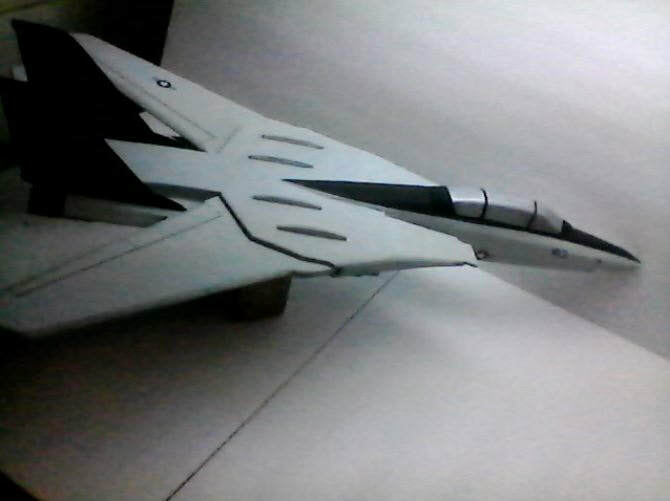 So, after some searching, we decided to implement direct-drive mechanism which require high-torque servos that should be small enough to fit. We're so glad that we found it. But, it's not done yet. The next following step to go with is, to compensate the dynamic CG when the plane changes its wings position. 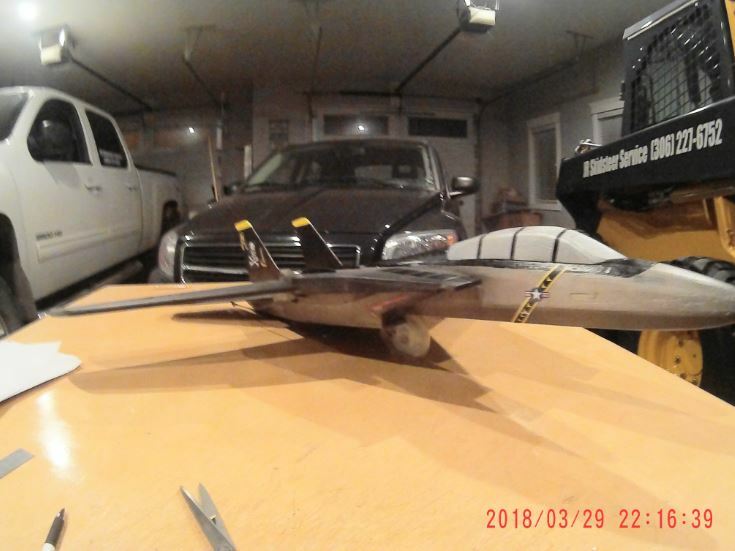 After we did some math, then we decided to go with the 3mm carbon rods, installed in each wings that would function as reinforcement as well as CG weight balancer, when the wings are closed or collapsed. Rhinoceros 6 and HP Zbook Studio did a tremendous job in making things easier for us to design this parkjet. Incredibly agile even on elevons only. Please follow the retractable wing's servo recommendation on the plan for both sufficient torque and dimensions. The Turnigy 380MG Micro Servo 3.6kg can also be a substitute to earlier recommended servo. In fact, this would be highly recommended servo for this built. 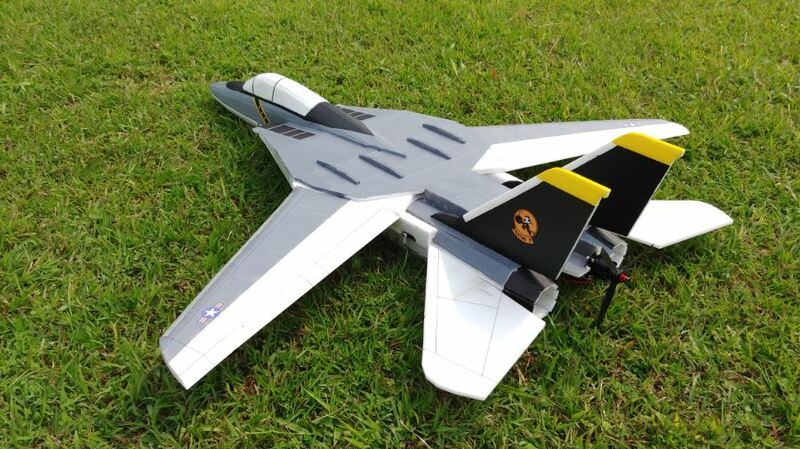 The F-14D G1R-S may be one of complex built series in our parkjets lineup. 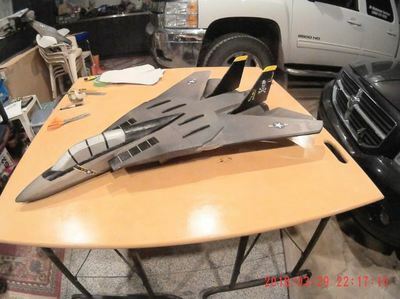 However, if constructed properly, it would bring bold "Wooohooo!" and "Yes! 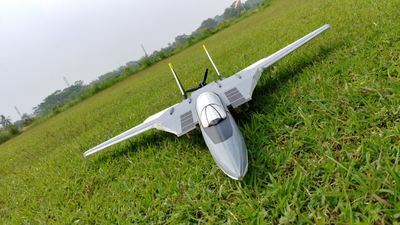 ", when looking at the wings collapsing or closing when it's flying. It would immediately catch the attention of many people that already fly their planes in the field. A truly new experience of having 2 different planes in just one parkjet. 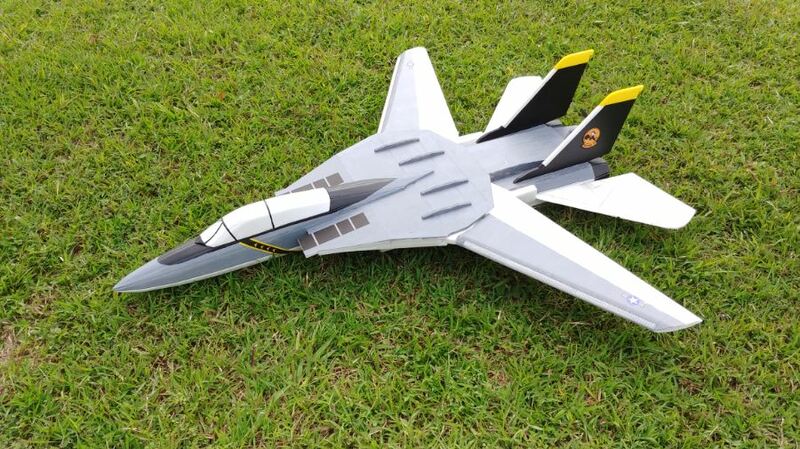 This F-14D Tomcat G1R-S Scratchbuilt is for experienced builders. By clicking the DONATE button, you agree to donate USD 11.99 and receive the F-14D G1R-S scratchbuilt plan.